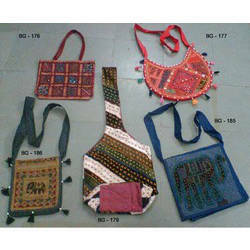 Prominent & Leading Exporter from Jaipur, we offer college shoulder bags and beaded shoulder bags. We are a prominent manufacturer, supplier and exporter of an exclusive assortment of College Shoulder Bags. 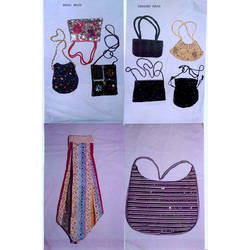 The bags offered by us cab be availed in various colors with embroidered patterns and embellishments. Cent percent cotton is used to manufacture the offered range. Moreover, we customize these products as per the requirements detailed by clients. Ours is an esteemed organization that is involved in manufacturing, supplying and exporting a broad spectrum of Beaded Shoulder Bags. These bags are manufactured using high-grade beads and base material under the close supervision of our experienced professionals. Furthermore, we customize these bags as per the specifications detailed by clients. Looking for Shoulder Bags ?